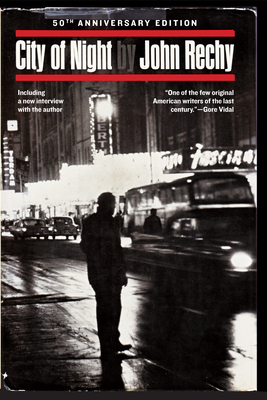 When John Rechy's explosive first novel appeared in 1963, it marked a radical departure in fiction, and gave voice to a subculture that had never before been revealed with such acuity. It earned comparisons to Genet and Kerouac, even as Rechy was personally attacked by scandalized reviewers. Nevertheless, the book became an international bestseller, and fifty years later, it has become a classic. Bold and inventive in style, Rechy is unflinching in his portrayal of one hustling "youngman" and his search for self-knowledge within the neon-lit world of hustlers, drag queens, and the denizens of their world, as he moves from El Paso to Times Square, from Pershing Square to the French Quarter. Now including never-seen original marked galley pages and an interview with the author, Rechy's portrait of the edges of America has lost none of its power to move and exhilarate.